Credit bureaus maintain businesses’ credit report just like all other form of report. Business credit report when prepared is a brief summary of an organization. It is indicative of financial position of a business and truly reflects the same. Today’s market is competitive in nature and so companies rely on loans. Only a good credit report can make it possible for people to secure grants that they feel is required for their organization’s growth. Business credit report is responsible for credit transactions to a company. So, it has to be prepared by a reputed agency that has the flair of making sound credit reports. There are many such agencies that delve in scores, records, organizational history and then finalize a plan. 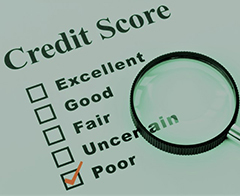 Credit reports are prepared after thorough scrutiny of an organization and so lenders tend to believe in them. It is only that a credible credit report preparation agency should be approached for making of a report. Credit does play a crucial role for every single organization. But securing credit is not easy. For that enterprises have to make a sound business report. Enterprise credit report is useful for reference purposes. It primarily includes information like loan repayment history, organization’s credit history, incurred debt, bills, debtors list, creditors etc. Every organization needs to verify Business Credit Report so that steps may be taken to eliminate errors and negative references that may lead to rejection of loan applications. So, a good report preparing agency should be approached for the same reason and this will validate an organization and its capacity to receive extended loan grants.